What are the 7 Stages of Dementia? Dementia is not a one-size-fits-all condition. It presents itself differently in each individual and progresses at different rates. 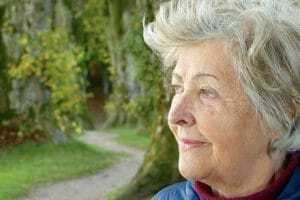 Where some can stay in a state of mild decline for a long period of time, others seem to develop every symptom at once. Everyone starts at stage 1. There are no symptoms of cognitive impairment, mental function is normal. Also known as middle dementia or moderately severe Alzheimer’s disease, this stage will find your loved one requiring help for Activities of Daily Living (ADL’s) such as using the bathroom or eating. Your loved one may also experience difficulty sleeping, increased paranoia or delusions, anxiety, and difficulty recognizing loved ones. Stage 7 is severe Alzheimer’s disease or late-stage dementia. Your loved one is unable to care for themselves, lives with severe motor and communication impairment, and may lose the ability to speak or walk. According to the Alzheimer’s Association, this can be the longest period that you will face as a caregiver, as the symptoms can go on during the majority of your loved one’s later years. During this time, you will need to learn to develop patience, flexibility and understanding as their day-to-day functions become more difficult to achieve. Your loved one might need assistance dressing, act out in strange ways or grow frustrated and angry with you, which can be stressful. Be sure to take care of yourself and reach out to family, friends and other support services to make this transition smoother. According to the Alzheimer’s Society, the later stages will be the most difficult, as your loved one is now very frail and relies on you for most of their daily care. At this stage, encouraging your loved one to eat and sleep will grow increasingly difficult and they may lose the ability to walk steadily. During this time, an occupational therapist may help them stay mobile without falling, and speech therapists and nutritionists might give you greater insight to their speech and eating patterns. Incontinence, severe memory loss and disorientation, immune system problems, repetitive movements and strange or unusual behavior must all be managed during this stage as well. Watching a loved one live with dementia is never easy, but with the proper tools, you can help them navigate their symptoms to live the most enriching life they can. Staying on top of the latest research (google alerts), attending seminars from expert speakers and medical professionals will keep you up-to-date on new treatments and care techniques. Most importantly, find a supportive community! There are many support groups for caregivers where you can share your successes, frustrations, fears and joys with other caregivers. Remember, you are not alone! Aegis Living’s innovative and dedicated memory care program, Life’s NeighborhoodTM, is designed to ease the symptoms of cognitive decline and celebrate the life of each resident. Every memory care community is secured for the safety of the residents and your peace of mind. If you are interested in learning more about memory care at Aegis Living, set up a tour with your nearest community today.